Vanity SuperClub is located in Quezon City, Metro Manila. If you are familiar with QC nightlife, you know that in this area, clubs are cheaper than in Makati or The Fort. They also tend to welcome a younger crowd of Filipinos, with only a few expats once in a while. Vanity is not different, but it looks nicer than many other venues in QC. It is middle sized (350 pax capacity), with a main bar in the middle of a square room. It is usually quiet on weekdays but full on Saturdays and Sundays with a very lively party atmosphere. The entrance is supposed to be 300 PHP / 400 PHP with 2 drinks included, but you can get in for free most nights. Actually, on Wednesday and Thursdays, not only you enter for free, you can also get free drinks until midnight (until 2am for girls). It seems that both nights are ladies' nights. You can also book a VIP Area with 5,000 PHP and 12,000 PHP minimum spending. Tables costs between 2,000 PHP and 3,000 PHP. Check with them for the prices as I'm sure you can get discounts. You can call Toni 0917-5135346. Dress code is casual. Jeans, baskets and t-shirts are ok. 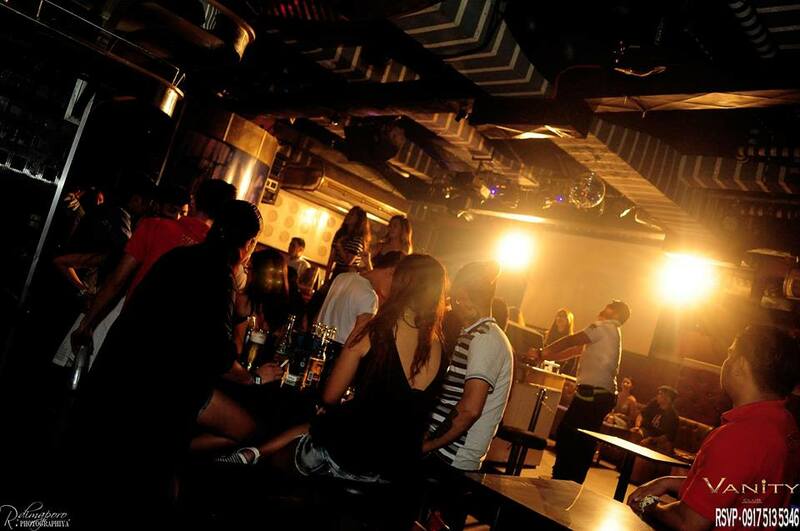 Overall: One of the recommended party spots in Quezon City. Lots of girls also but they are young, shy and with their groups. No Comment to " Vanity SuperClub (Quezon City, Manila) "